Shoppers were out in force doing holiday shopping at La Plaza Mall on Monday, Dec 18, 2017, in McAllen. Most stores will be open until 6 p.m. today for last-minute Christmas shopping. 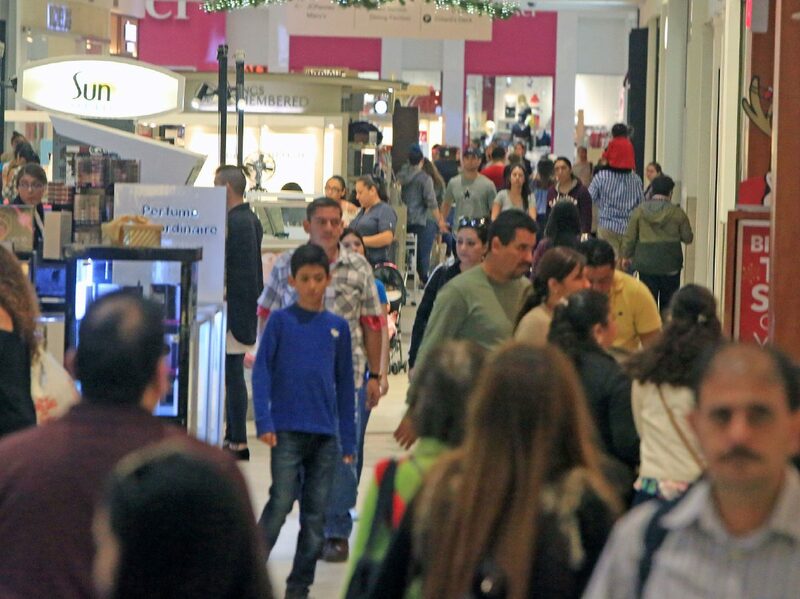 McALLEN — The rush of holiday shoppers has businesses staying open on Christmas Eve to accommodate last-minute gift-givers, in addition to special discounts offered throughout the weekend. La Plaza Mall and Valle Vista Mall in Harlingen will be open on Sunday from 8 a.m. to 6 p.m. while the Rio Grande Valley Premium Outlets will be open that same day from 9 a.m. to 6 p.m. Both will be closed on Christmas Day. Retailers at both La Plaza and the outlets will be offering specials, varying from up to 70 percent off at H&M and buy one, get one 50 percent off at Zumiez at La Plaza to up to 50 percent off at Journey’s to buy one, get one 50 percent off at Steve Madden at the outlets. La Plaza’s JC Penney is hoping to recruit customers by offering up to 60 percent off the entire store. The store is also offering Samsonite luggage for as little as $47.99 and a Playstation 4 Star Wars bundle for $249.99. 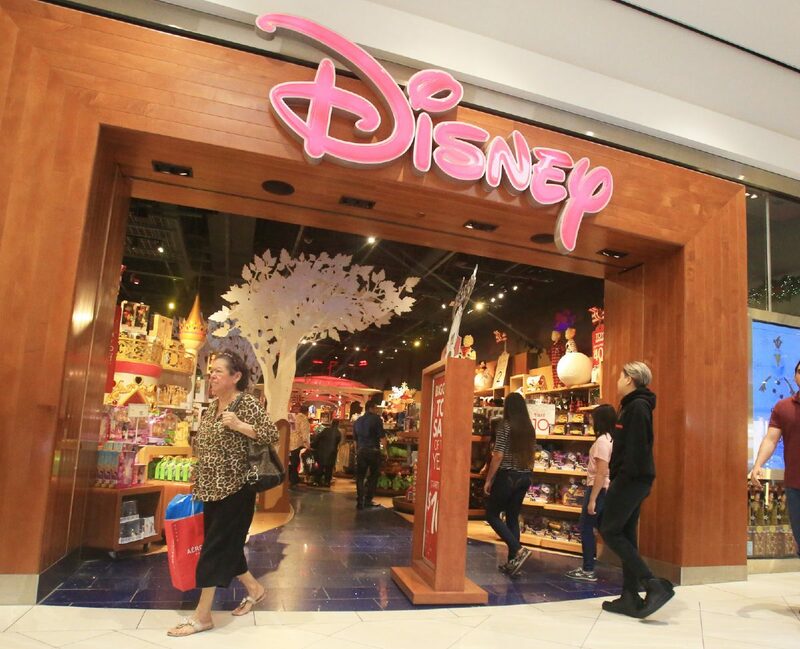 Shoppers walk into the Disney store at La Plaza Mall on Monday, Dec 18, 2017, in McAllen. Stores will be open from 8 a.m. to 6 p.m. today at the mall for last-minute Christmas shopping. Steve Ahlenius, president and CEO of the McAllen Chamber of Commerce, is bullish about holiday season sales after an uptick in numbers recently. Nationally, online and brick-and-mortar sales increased in November, Ahlenius said, which he said is a positive trend for overall retail business. “Nationally, there’s a big sense of confidence,” Ahlenius said. “At the local level, it’s a mixed bag. You’ve got some areas doing extremely well — jewelry, electronics, both online and brick and mortar. Despite the diverse results, Ahlenius anticipates December retail revenues will be up after a strong holiday season. This comes after two years of declining sales tax revenues in the city of McAllen, especially with Mexican nationals not spending as much money as they have in the past. Ahlenius didn’t necessarily anticipate an uptick in Mexican shoppers this holiday season, but he said the Chamber’s “Amigos Always” campaign, which advertises McAllen and the Rio Grande Valley in Mexico, remains a priority. “Obviously Mexico continues to play big role and we try to keep McAllen on top of the mind of Mexican shoppers,” Ahlenius said. The “South Texas Triangle” is also an advertising focus for Ahlenius, which is the geographic region encompassing the triangle between Corpus Christi, Laredo and the Valley. McAllen is the priority for much of this advertising, as the city accounts for 39 percent of retail sales in the county, according to Sergio Contreras, an economist at University of Texas Rio Grande Valley.